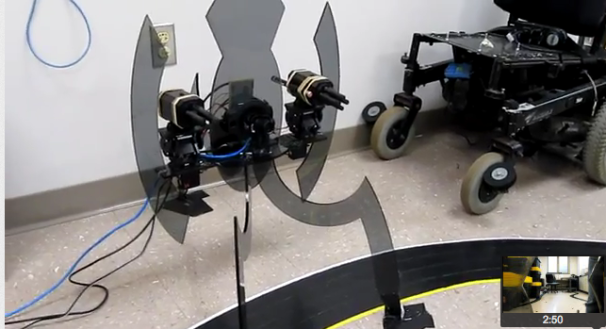 The project uses two dart-launchers each made from a pan-tilt servo mount and a USB missile launcher and controlled by an Arduino Uno, plus an IP webcam backed by the aforementioned MATLAB targeting software. Judging from the video, it looks to be fairly impressively accurate at close range. It's even got the little laser tracking dot, although that seems less to improve targeting accuracy and more to let you know that you've been targeted. The one thing it's missing is a casing--once that's in place, it will be ready to "dispense product" at a testing facility near you.